WHAT DO YOU think of when you hear the words “Amazon rainforest”? 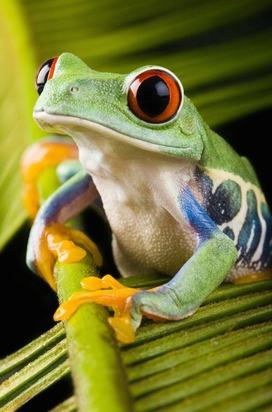 A red eyed tree frog, one of the most iconic species of the Amazon. Photo credit: Getty Images. Do you think about parrots and poison dart frogs, about marmosets and massive trees, and how tropical rainforests are home to roughly 50% of the species on Earth? Do you think about the vast scale of the Amazon, an immense ecosystem that covers 40% of South America and produces 20% of the world’s oxygen? Or do you think of deforestation, clear cutting, and environmental disaster? Such thinking is certainly warranted. Since 1970, an area of the Amazon larger than the size of Texas has been cleared. Apart from the irreplaceable loss of biodiversity and ecosystem services, deforestation emits substantial greenhouse gasses, accounting for nearly 20% of global emissions. In short, deforestation of the Amazon is bad news. But now, more than ever, there is hope for the Amazon on the horizon. Deforestation rates in the Amazon decreased by 80% from 2004 to 2014. Photo credit: Mongabay.com. 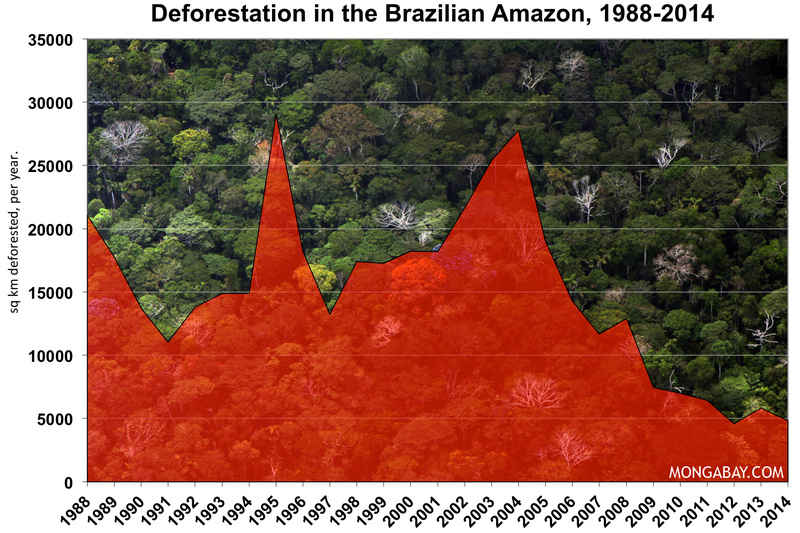 Deforestation rates in the Amazon rainforest have fallen dramatically in the past decade. In 2004 during peak deforestation, a whopping 27,400 square kilometers of Amazon rainforest were cleared in a single year, an area roughly the size of Massachusetts. By 2014, deforestation rates in the Amazon had decreased to 4,800 square kilometers of forest cleared per year, roughly one sixth of the peak rate in 2004. Under current policies, there is hope for reducing Amazon deforestation to zero within the next decade. Such progress is largely thanks to Brazil. As the largest Amazon nation, demographic changes, policies and conservation measures taken by Brazil more or less dictate the future of the Amazon rainforest. Before 2005, Brazil struggled to control rampant expansion into the Amazon and the resulting clear-cutting for ranching and soybean production. How did Brazil accomplish such a drastic change? A map of protected areas (light purple) and indigenous lands (dark purple) in the Amazon. Deforested areas are in yellow. By strategically protecting lands along the advancing arc of deforestation, the government was able to maximize the effectiveness of protected areas. Photo credit: Woods Hole Research Center. Over half of the Brazilian Amazon is now designation as national parks or indigenous lands, effectively protecting an area larger than Greenland from intensive logging and agriculture. The push for more protected areas began in 2003, pioneered by a new Brazilian administration that was determined to curb deforestation and illegal logging. The recognition of indigenous land rights ensures the cooperation of locals and serves to preserve their way of life as well as the forest. Historically, cattle ranching has been the greatest driver of deforestation in the Amazon, followed in recent decades by growing global demand for soybeans. In 2006, mounting political pressure and bad publicity associated with rainforest destruction pushed the two biggest buyers of Brazilian soybeans, Cargill and McDonalds, to freeze their purchases of soybeans sourced from recently cleared rainforest. Such action led to a national moratorium on soybeans grown on land that had been deforested since 2006, discouraging deforestation in the process. The cattle industry followed suit in 2009, as packing plants and slaughterhouses in Brazil refused to source cattle from ranches within 10km of deforestation fronts. In spite of these new restrictions, the cattle and soybean industries have done well in Brazil, increasing in size and scope in the face of surging international demand. Cattle ranching in the Amazon (left) has been restricted since 2004, along with soy production. Both industries have increased production steadily without causing new deforestation since 2004. Photo credit: Greenpeace. Protected areas and geographical restrictions on the spread of soybeans and ranching are great in theory, but without monitoring it is hard to prove that such restrictions are being adhered to. 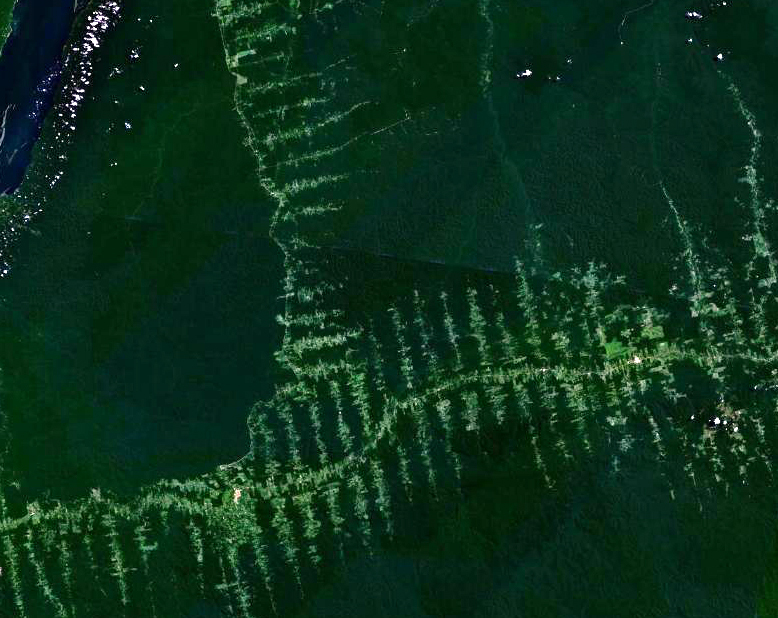 In order to monitor the pace of deforestation, the Brazilian Space Agency launched it’s DETER satellite in 2004. DETER monitors changes in forest cover in real time, producing a report of deforestation hotspots for law enforcement every two weeks. Satellite monitoring in Brazil is estimated to have prevented deforestation of 59,000 square kilometers of rainforest from 2007 to 2011. Roads often act as a catalyst for deforestation by allowing development in the remote interior regions of forests, resulting in a signature fishbone pattern of deforestation. Photo credit: NASA. Scale poses a huge hurdle for any government agency seeking to enforce wildlife law over a large area. The Amazon rainforest covers a whopping 5.5 million square kilometers, and even with satellites flying overhead, someone has to be on the ground to enforce forestry laws. The Brazilian government got tough on rainforest crime with a series of high profile fines for violators by focusing their efforts on patrolling roads leading into the rainforest. Such focus by law enforcement increased the efficiency of patrols over such a large area. The connection between deforestation and worsening climate change actually helped the Amazon by engaging the larger global community in rainforest conservation. With the goal of reducing emissions from deforestation, the UN established the Reducing Emissions from Deforestation and Forest Degradation Programme, or REDD+, at the 2007 climate summit in Bali. Through this program, industrialized countries with high carbon emissions pay for carbon storage by preserving forests in developing countries. This offers developing countries additional economic incentives to preserve their forests and to keep emissions low. Norway has emerged as a leading force in forest conservation by pledging $1 billion to rainforest preservation efforts in the Amazon, or $5 per ton of sequestered carbon. For the plan to be effective, Brazil was paid only after measurable decreases in deforestation had been observed, a process known as a pay for performance program. Such a program sends a powerful message to developing countries that the international community values forests and will help foot the bill for protecting them. The establishment of protected areas, investment into satellite monitoring, increased law enforcement, and the cooperation of key industries doesn’t just happen overnight. An incredible amount of political will was required to accomplish such changes, and the Brazilian people deserve the majority of the credit for creating a social movement. The Zero Deforestation movement, pressure from numerous NGOs, as well as the cooperation of environmentalists, indigenous groups, rubber trappers, and unions, paved the way for the government actions described above. By decreasing tropical deforestation rates so dramatically, Brazil has cut greenhouse gas emissions more than any other country in the world. Photo credit: Climate Central. Even with promising results in Brazil, deforestation is still a global problem. In 2014, the world lost 182,000 square kilometers of forest, an area the size of North Dakota. Furthermore, the Amazon is not out of the woods yet, with no guarantee that promising trends will continue. However, Brazil has proven that reducing deforestation is possible over a short period of time, and there is real potential for a complete halt to Amazon deforestation in coming years. Brazil’s actions have provided a roadmap for other tropical nations that struggle with deforestation. Indonesia has surpassed Brazil as the country with the highest deforestation rate due to the expansion of oil palm plantations, and action there is desperately needed. To address the issue, Norway entered into a $1 billion deal with Indonesia through REDD+ in 2010 to halt further logging concessions. While deforestation rates have dipped slightly since then, the situation in Indonesia remains delicate and complex, and only time will tell if Brazil’s success can be duplicated. You can do your part to ensure that you don’t inadvertently contribute to rainforest deforestation. Many products, such as chocolate, coconut, palm oil, coffee, vanilla, cinnamon, pepper, exotic woods such as teak and mahogany, and even some medicines, are sourced from rainforests around the world. This doesn’t mean you have to give up all these things. Many rainforest products can be grown and harvested sustainably, you just might have to pay attention to brands and labels to find sustainable products. Look for fair-trade and organic products, or products certified by the Rainforest Alliance, the Forestry Stewardship Council (FSC), or the Roundtable for Sustainable Palm Oil (RSPO). Look up your favorite snack foods online to learn more about where they come from. If they appear to be unsustainable, email the company. The threat of bad PR or even boycotts from enough consumers can be enough to get some companies to change. If they realize we care about the rainforest, they might begin to care as well. Thanks! Not sure about the Save the Rainforest fund being a scam, in all likelihood it probably stopped being as necessary once things started improving (not to say funding isn’t still needed to continue conservation in the Amazon, just that things are better than a decade ago). I just feel that people need good news every once in a while and evidence that their donations or devotion to conservation causes can and do pay off in the end. Good news just isn’t as catchy as a dismal headline. I’m certainly going to concentrate on conservation bright spots and on educating the public in future posts. Thanks for reading and for the feedback! I enjoyed this post and want to learn more about how this occurred. Living part time in Brazil and working with small local NGOs there (in the Atlantic Rainforest, not the Amazon), I’ve learned things over the years that made me very skeptical. Even when the forest code was strong, it was not well enforced. So perhaps things really are changing for the better. I want to believe that. Here’s a post I wrote a while back that will let you know a bit about the situation in the Atlantic Forest: https://rainforesteco.wordpress.com/2014/04/22/the-two-faces-of-reforestation-in-brazil-care2-causes-earth-day-2014/. Thank you for your hope filled passion. I hope to catch some of it again! Thanks for reading! I was pleasantly surprised too when I began doing research about how Brazil was able to successfully turn things around in just a few years, and it all seems to have boiled down to political and international pressure. The Amazon is so famous that big NGOs initiated deals between industry and environmentalists, and the rainforest is famous enough that foreign countries are willing to donate billions to conserving it. The situation is much more dire for the eastern Atlantic forests, which are in a more populated part of the country and less well known outside of Brasil. I think it would be helpful if some big NGOs directed attention to the Atlantic forests with a flagship species (I believe the cute and endangered golden lion tamarin lives in those forests). Anyway, it would be fantastic if Brasil could successfully translate their policies to conserve the Atlantic coastal forests! Looking forward to reading some of your posts about rainforests and conservation as well! This may be a shot in the dark, since your post was from two years ago. However, I was wondering if you had any advice for me. I decided a year ago that I would like to dedicate my career to preserving land (rainforest specifically). I am currently a law student in Washington DC. 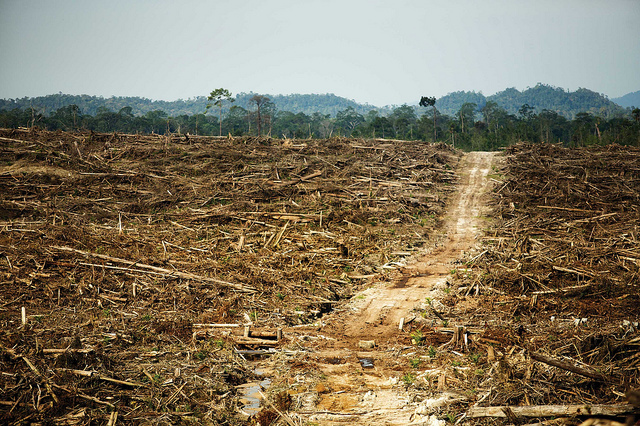 How can I use my law degree to help stop deforestation in places like Brazil and Indonesia? What can I do that will have the biggest impact? Any information is greatly appreciated. Thanks for commenting Jim! I am sure rainforesteco has many good suggestions for opportunities, but I just wanted to chime in with a few of my own, being DC based myself. I’d recommend checking out positions with NGOs like the World Resources Institute, Supply Change, Rainforest Alliance, Forest Trends, the Nature Conservancy, and the World Wildlife Fund. All have offices here in DC and are doing work on tropical deforestation and forest supply chains that relates directly to Brazil and Indonesia. Some of their work is more research focused, while some is more policy/legal, although many outfits work on both. I am not sure what stage you are in law school and what type of positions you are looking for (i.e., internship or full time job), but these orgs would be a good stepping stone regardless. Deforestation is brutal and stupid. The quick buck and no thought for the wild-life or the future. The problem is especially grave in Indonesia at the moment; slash and burn clearing of the rainforest is out of control due to the current drought and El Niño. Hopefully Indonesia can emulate Brazil’s successful policies. This is a fantastic post. It’s so much easier to say how bad everything is, people hear it all the time and I think people have stopped listening because it sounds like too huge a problem to overcome. This post shows there are small ways to improve the bad situations the world is facing and collectively these smaller initiatives have made a great change. It shows people that we can take control of the worlds future, it’s in our hands and is achievable. I completely agree and think you are doing a wonderful job of enlightening people. Indigenous land rights? You are kidding. I went to Belo Monte and met indigenous people there. The corporations supply alchohol, split the unity of the different indigenous groups by providing things like shiny brand new pick up trucks to some but not others. Their lands razed, flooded on a vast scale. $50 million in bribes to build Belo Monte yet where is the judiciary punishing the companies? The people of Belo Monte village were promised new houses with piped sanitation….they received nothing, even though it would have been minuscule effort in the overall scheme of the project. This site appears to have an agenda, which is far distant from the truth. Taking the peak deforestation year as your benchmark isn’t good is it. It is still disappearing at an exceptional rate, and more need be done to reduce it much much further and eventually to a zero figure or heh a net gain. Temer is opening up indigenous lands in Para to mining and big companies. Your site reads soothingly well, but it is a jump away from reality on the ground. Thank you for your comment. You’re certainly right that this issue is highly nuanced and that the factors listed in the article neither uniform solutions nor evenly implemented across a country as large as Brazil. The specific instances of corruption and division you mentioned are indeed troubling. That being said, I still feel that it is important to call out the Brazilian government’s actions to protect certain indigenous areas along the advancing arc of deforestation as an important component of a multifaceted strategy to prevent deforestation. As an early career conservation biologist, I assure you this site has no hidden agenda. What I hope to accomplish is to illustrate progress, even when progress is not complete, and hopefully allow others to connect the dots in improving solutions and applying solutions to other places. For example, although the situation in Brazil is far from perfect, the improvements seen there are certainly encouraging compared to somewhere like Indonesia, where the outlook is far more dire. Undoubtedly some of the six factors I mentioned in this article would be beneficial in Indonesia and other Amazon countries were deforestation rates are higher than Brazil’s and increasing rapidly. That’s not to say to Brazil doesn’t still need to improve, and there have been discouraging signs of backsliding in the past few years. But the story of a six fold decrease in deforestation over a decade is one that should be told, and lessons should be learned from the progress that has been made so far. 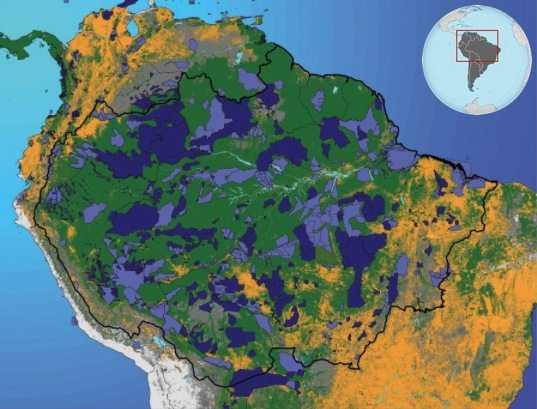 Take Home Message: Deforestation rates in the Brazilian Amazon have plummeted 80% in the last decade thanks to the establishment of new protected areas, satellite monitoring of deforestation, cooperation by agricultural industries, and international aid. Hopefully other deforestation nations such as Indonesia can duplicate Brazil's policy successes. You can combat tropical deforestation by purchasing fair-trade, organic, or certified sustainable products. 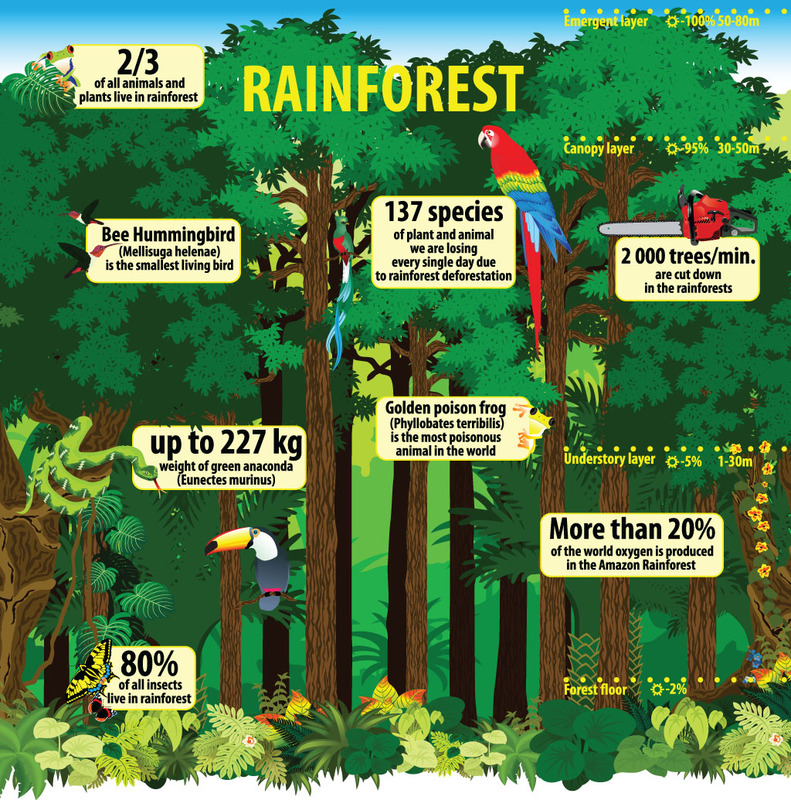 Common products that come from rainforests include chocolate, coffee, vanilla, spices, and palm oil.